Coclé is a province of central Panama on the nation's southern coast. The sub-capital is the city of Penonomé. This province was created by the Act of September 12, 1855 with the title of Department of Coclé during the presidency of Dr. Justo de Arosemena. It became a province, Decretory Number 190, on October 20, 1985. Coclé is primarily an agricultural area, with sugar and tomatoes as major crops. The province has a number of well-known beaches, such as Santa Clara, Farallon and Rio Hato, and tourist activity has increased in recent years. It has a population of 233,708 (2010).Pre-Columbian CocléDuring pre-Columbian times, the area of Panama which today includes Coclé province had a number of identifiable native cultures. Archaeologists have loosely designated these cultures by pottery style. The poorly studied La Mula period ranged from 150 BC to AD 300. It was followed by the Tonosi period, from AD 300 to AD 550, and by the Cubita period, from AD 550 to AD 700. A unified Native American culture appears to have flourished in this area from approximately 1200 BC until the 16th century.Administrative divisionsCoclé Province is divided into 6 districts and 44 corregimientos.Research and ConservationCoclé is host to La MICA Biological Station where ongoing field research and conservation education is conducted. Parque Nacional General de División Omar Torrijos Herrera, established around the crash site of former Panamanian leader Omar Torrijos, is located in the northeastern portion of Coclé. 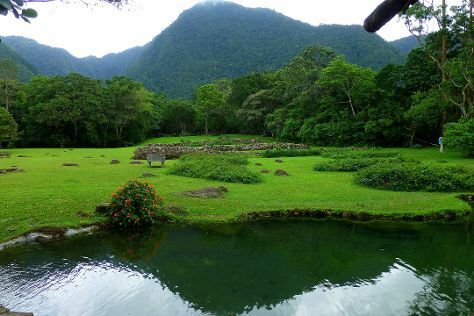 Parque Omar, as it is known, enjoys some legal protection as a national park. Cocle Province is in Panama. Add Cocle Province and other destinations in Panama to your travel itinerary using our Panama trip itinerary maker website .